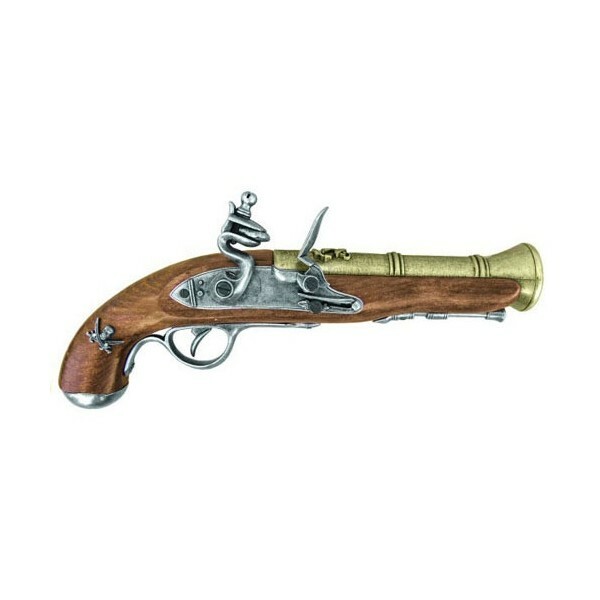 The Blunderbuss was commonly used on most warships of the era to repel would-be boarders. They could be loaded with shot, nails, glass, or any other material with the potential of causing severe harm to the target. 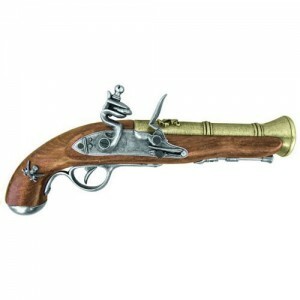 This classic wood stock flintlock has a simulated brass flared barrel and pirate emblems on stock and barrel. This replica gun comes in an antique gray finish.